In the second installment of Sunday’s NHL rumor rundown, there is news on Wayne Simmonds possibly being a target for the Winnipeg Jets, the Senators have seemingly made up their mind on their big-three free agents and the Toronto Maple Leafs are looking at a problem in net they’d rather avoid. Wayne Simmonds and the Winnipeg Jets? 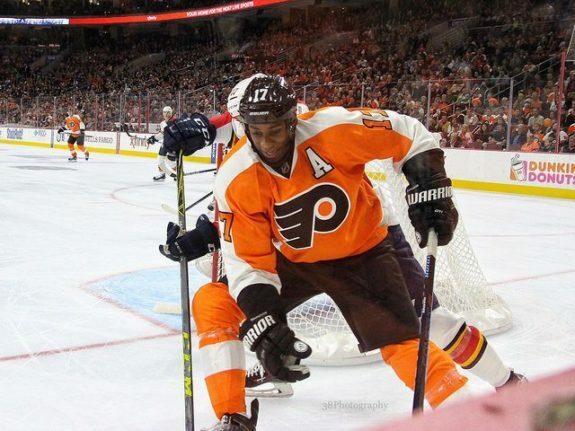 Despite a recent report that there is plenty of interest around the NHL for power forward Wayne Simmonds, and among the teams interested are rumored to be the Winnipeg Jets, that may not be the case. According to Winnipeg Sun’s Ken Weibe, he doesn’t believe that Pierre LeBrun’s assumption is entirely accurate. Weibe writes, “At this time, the expectation is that the Jets are more likely to add a left-handed defenceman or a centre to play on the second line.” If you consider too that the Jets are deep at the wing position, Simmonds might not crack the top six and whatever Simmonds will end up costing in trade is a hefty price to pay for a bottom-six forward. As almost everyone knows by now, the Ottawa Senators have three critical unrestricted free agents on their team that need to either be re-signed or traded before February 25, 2019. Those free agents are Mark Stone, Matt Duchene, and Ryan Dzingel. It appears the mandate in Ottawa is not to lose these players for no return. According to the Ottawa Sun’s Bruce Garrioch, it sounds like the Senators might have made up their minds as to what to do with each particular player. Ottawa intends to attempt to re-sign both Stone and Duchene, but the team is ready to listen to offers for Dzingel. 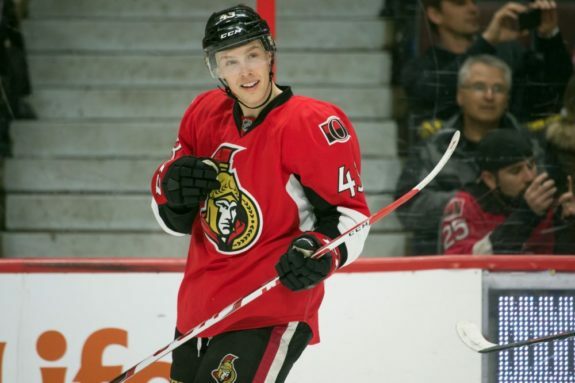 Dzingel is 26 years old, has improved year after year and could fetch Ottawa a strong return in a trade. He already has 17 goals in 32 games this season and should set new career-highs in goals and points. 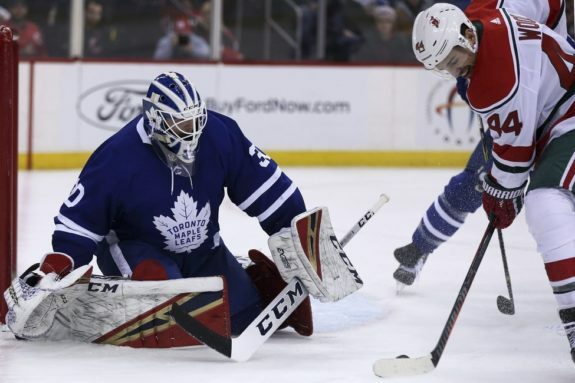 Maple Leafs Have Dilemma in Net? Chris Johnston pointed out on Saturday’s Headlines segment that with the injuries in Toronto at the netminding position, they may be forced to play the recently acquired Michael Hutchinson for his 10th game of the season. That means if the team wanted to send him down, he would require waivers. This is also the same situation for backup Garret Sparks and the Maple Leafs have already lost two decent backups because of this rule, with both Curtis McElhinney (CAR) and Calvin Pickard (ARI) getting picked up before the season even began. The team does not want to lose another goaltender this way. This means Toronto will have to decide if they’d rather carry three goaltenders or potentially lose Hutchinson on waivers in trying to send him to the AHL. He’s played quite well (.919 save percentage and 2.53 goals against average) since coming to Toronto and there is a pretty good chance he’d be claimed by someone if he were to hit the waiver wire. Despite the fact the Carolina Hurricanes have a number of strong defensemen available for trade, Nick Kypreos did mention during the Headlines segment that if a blueliner is going to leave the Hurricanes before the deadline, it will be Dougie Hamilton. It would be interesting to see if the Canes move both Ferland and Hamilton since both were acquired in the same trade from Calgary. Carolina would need to get a strong return because fans and media will trace whatever that return is to the cost of Elias Lindholm and Noah Hanifin.